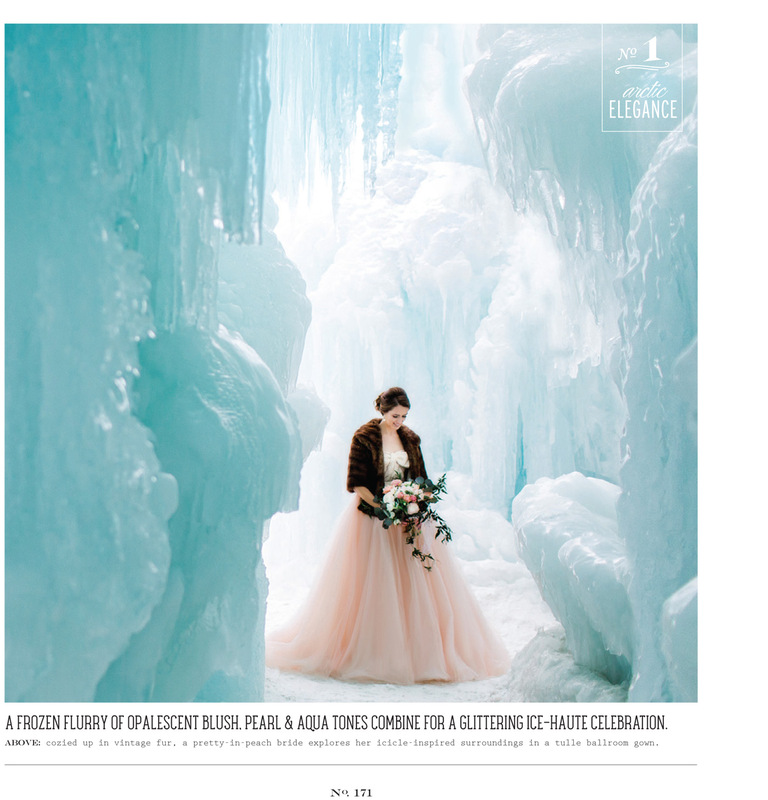 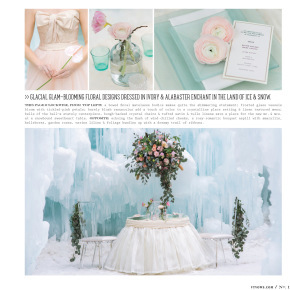 Featured editorial, "Arctic Elegance" was photographed in an Ice Castle. 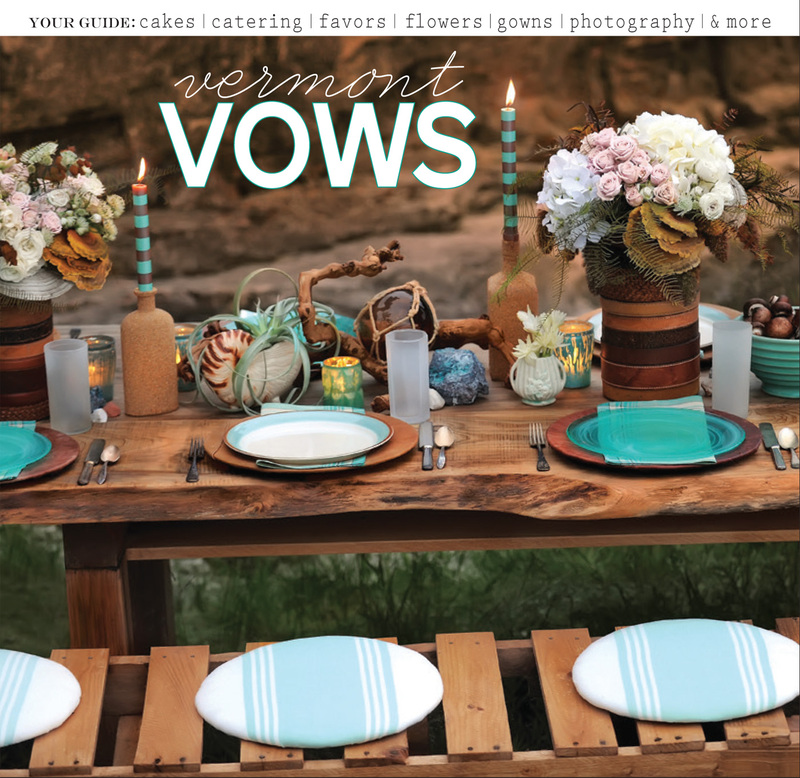 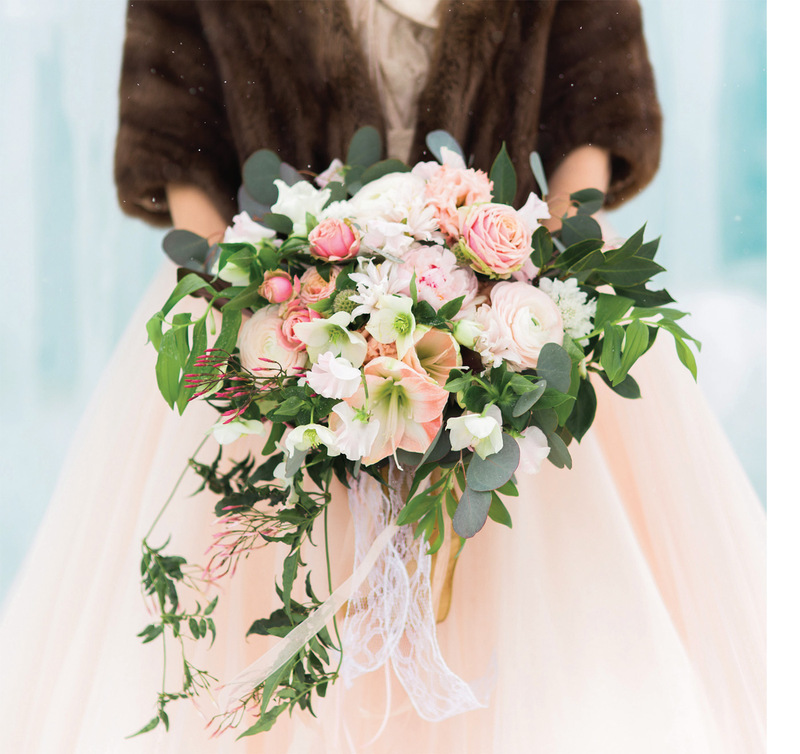 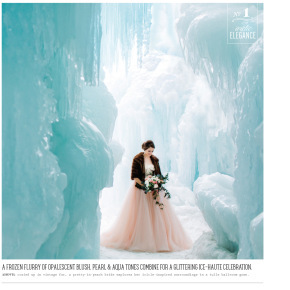 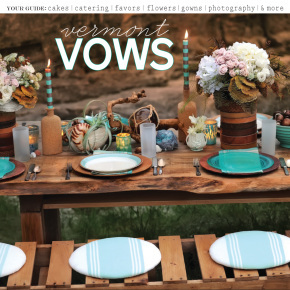 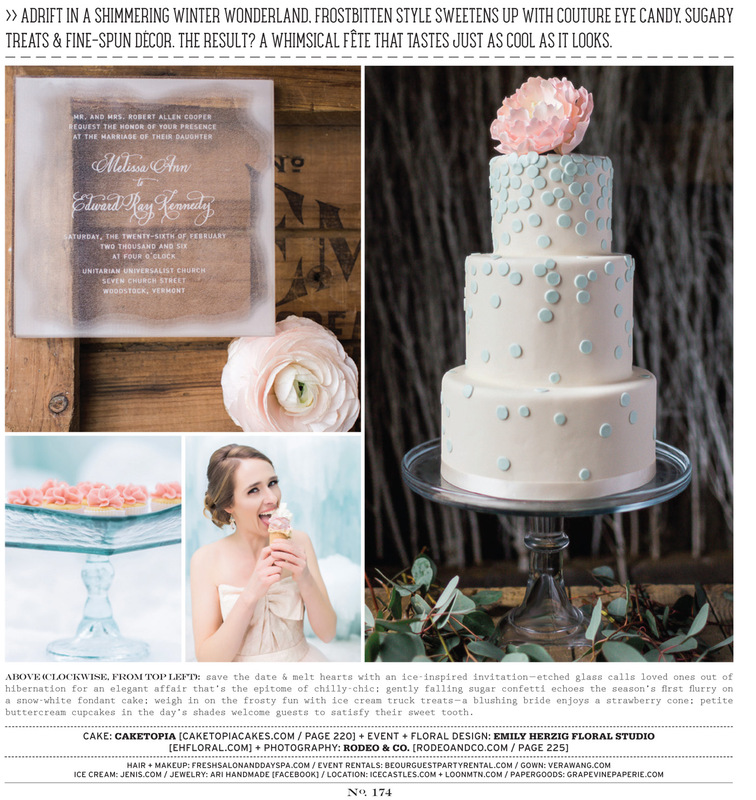 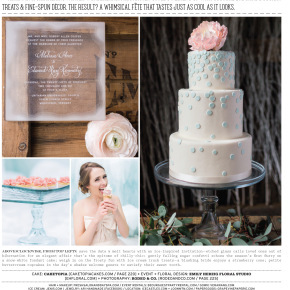 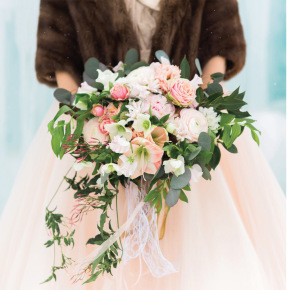 The Winter Wedding Inspiration Shoot was included in Vermont Vow's 19th Issue, released in November, 2014. 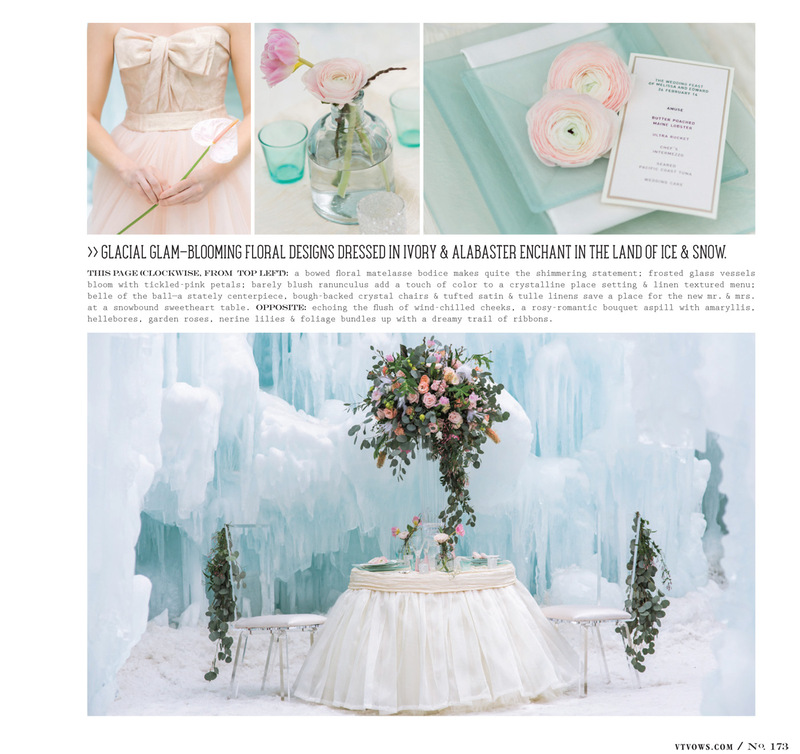 Read the related post on our blog.